The fact that there is even a conversation still out there about this says that it’s not entirely clear. Nursing is still evolving and defining itself as a profession separate and distinct from medicine. Within the profession, healthcare professionals understand the role differentiation between nurses and doctors. But trying to learn what nurses and doctors do based on media portrayals is confusing. Not many TV shows portray nurses as professionals. In the past, nursing has even been called a “semi-profession” suitable for women who would only be in the workforce temporarily until they had families. Some say nursing is a calling, or a destiny. This carries connotations of a religious vocation or even a divine call to service. Others explain a calling as a deep commitment, as in ”I was called to be a nurse”, and imply sacrifice. A calling involves a passion to service, but a passion framed as a calling can be exploited by employers. Some will flatly say it’s a job. They reject a “calling” as overly romanticized and point out that nurses all render services and get paid. Nursing is a career that takes specialized skills and knowledge and in return, generates a paycheck. Like many other hourly paid workers, clinical bedside nurses punch a time clock and do shift work. In many cases, nurses are represented by labor unions. Breaks and mealtimes are regulated- none of which sound like the trademarks of a profession. Still other nurses perceive themselves to be professionals, but do not always feel that they are treated as such in the workplace and lack the respect due a professional. As seen on Twitter: “Nurses are seen as a short term expense, not a long term investment”, or in other words, an annoying but necessary part and expenditure of doing business as a hospital. All professions are jobs or careers, but not all jobs are professions. No one questions that nursing commands the highest trust of any other occupation in or country, but not all agree it is a profession in the traditional meaning. Law and medicine are mature, well-established professions and share five common attributes. These include use of professional reference agencies, community service, autonomy, self-regulation, and sense of commitment and professionalism (Hall, 1982). Unique and expanding body of knowledge. Nursing is based on a body of evidence-based knowledge derived from research. This knowledge is applied in the interest of the public. Prolonged training and formal qualification and possess special knowledge and skills. Nurses are licensed by individual states. Nurses maintain their skills through ongoing professional development and continuing education. Code of Ethics. Professionals adhere to a set of ethical standards and govern themselves. Nurses, like doctors, take a vow. The Nightingales Pledge, created in 1893 and updated in 1935, reminds us to elevate the standard of our profession. The ANA Code of Ethics outlines our professional values and social responsibilities. Nurses are accountable to their patients and society. When nurses empower themselves selves and use pro-nursing language, they use the power of speech to elevate the profession. Small changes in word choices such as “I practice nursing” instead of “I work as a nurse” make a big difference. They advocate eliminating the words “just” and “only” as in “I’m just a nurse”. The phrase “I’ll call the doctor “ is replaced with “I’ll collaborate with the healthcare team. 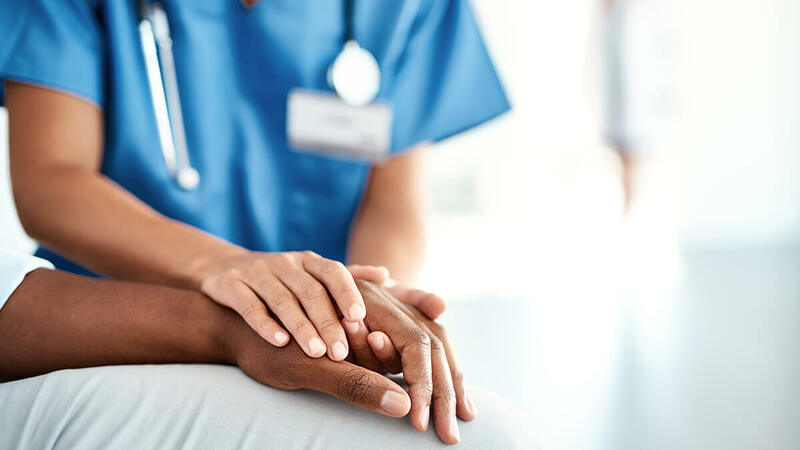 The manner in which nurses describe themselves and talk about their profession has the potential to transform and elevate nursing practice in the public view. Professional self-identity includes altruism and human dignity as core values while providing safe and competent care as a clinician. Nurses are sometimes heard to say that the reason they don’t join a professional organization is that their employer doesn’t pay for it. This is really missing the point of professional development. Unlike other professionals, nurses typically do not feel empowered and as a result seek empowerment through unions. Membership in professional organizations is key to professionalism. Autonomy of practice and professional power come through professional membership. Nurses themselves have the ability to settle he debate once and for all. As best said by @jpmurse on Twitter,“Being a nurse is a profession but where you choose to work is a job”. Hall, R. H. (1982). The professions, employed professionals, and the professional association. American Nurses Association Publications, (G-157), 1-15.